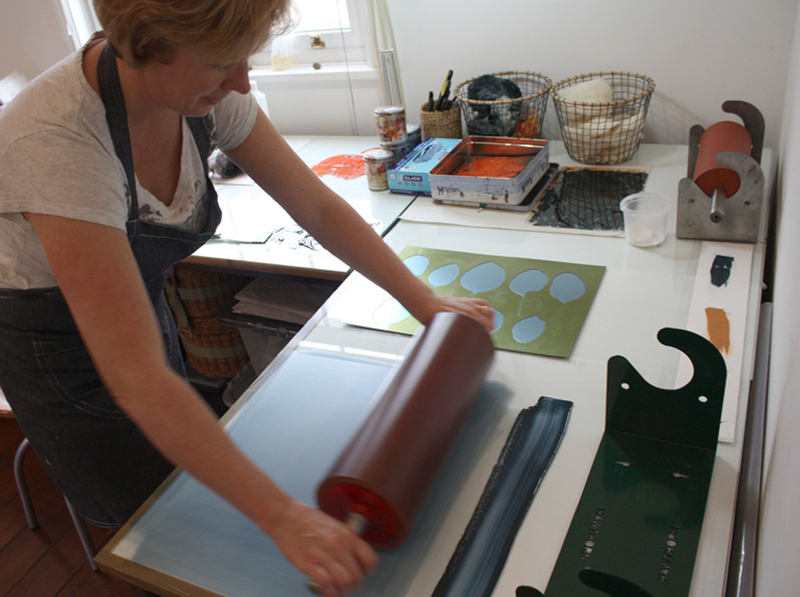 Susie Turner works as a visual artist and educator specialising in Fine Art Printmaking. She studied Fine Art Printmaking at Cambridge School of Art and Camberwell College of the Arts. Over the last thirteen years Susie has helped raise the profile of printmaking as a medium for learning by sharing her skills and knowledge with school children, students, teachers, community groups, museums & galleries, and adults of all abilities. She worked as a tutor and workshop leader for the Curwen Print Study Centre, an education charity, for eight years and since then has devised and delivered creative workshops in printmaking on behalf of other organisations, including the National Trust, Fermynwoods Contemporary Art, Northamptonshire Complimentary Education Academy, Arts and Minds / Ida Darwin Hospital, Leamington Spa Art Gallery & Museum, Ochre Print Studio, West Yorkshire Print Workshop, Leicester Print Workshop, Red Hot Press, the University of Cambridge Museums and the Botanic Garden, local schools and colleges. As well as supporting the development of artists’ ideas through print, Susie is keen to promote ‘participation in the arts’ as a preventative and rehabilitative experience. She has devised a number of workshops for Fermynwoods Contemporary Art in association with Northamptonshire Complementary Education Academy, working with young people disengaged from mainstream education. Susie was also commissioned by Arts and Minds in collaboration with the National Trust, as part of a ‘Children in Need’ funded project to devise and delivering a number of participatory workshops for children with mental health problems resident at the NHS Croft Child and Family Unit, Ida Darwin Hospital, Cambridge. These workshops took place outside; in a woodland area owned by the National Trust. Susie later became artist-in-residence at National Trust and worked alongside staff and volunteers, sharing her skills and knowledge, helping build habitats for wildlife and engaging visitors, community groups and schools with nature in a creative way. 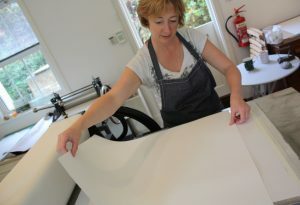 Within her own work, Susie is keen to push the boundary of print and combine traditional methods with contemporary techniques. 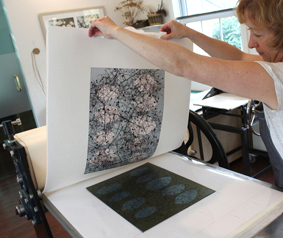 Over the last 10 years she has extensively explored the potential of printmaking with photopolymer plates / Solarplate, a new form of printing for artists that is simple, safe and time effective. 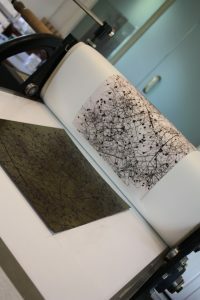 Solarplate describes the process of printing with light-sensitive plates that have been exposed to daylight or an artificial source of UV light and then developed in water. This new form of printmaking inspires curiosity and is appealing to a wide audience. As a member and delegate of Engage, Susie attended a peer sharing course as part of the Tate Exchange event at the Tate Modern in 2017. She was able to share her skills and knowledge with other artists and educators. 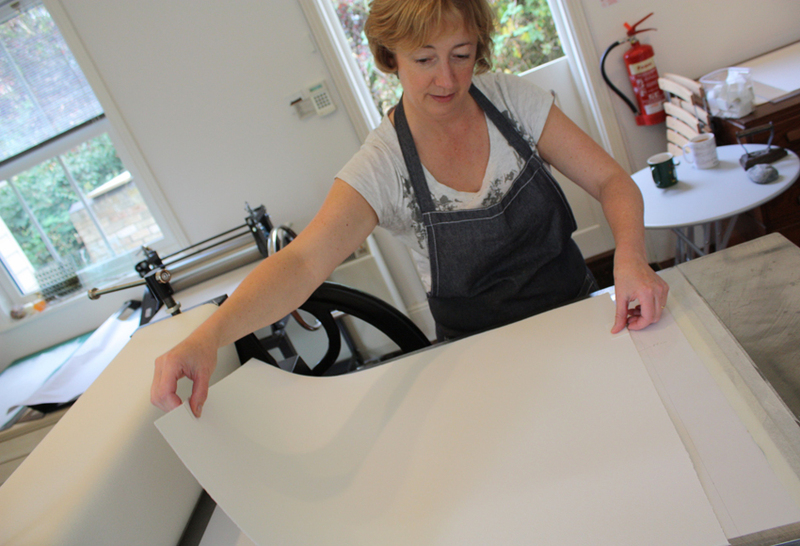 Susie is a member of the Printmaker’s Council and regularly exhibits and sells her work both locally and nationally. Recent exhibitions include International Mini Print touring exhibition with LPW, Espacio Gallery, London, Highgate Institute of Literary and Scientific Institution, Addenbrookes Hospital, 50 Years of Printmakers Council, LOOP at Bankside Gallery, and the University College London Hospital. She has prints in collection at the V&A Museum Print Archive department; Scarborough Museum Trust; Clare College, University of Cambridge; Camberwell College of the Arts and Nuffield Health Hospital, in Cambridge.